Tottenham made it a night to remember in the Champions League, defeating the reigning Champions 3-1, at the Wembley Stadium. It was a night many Spurs fans will not quickly forget as they took apart Real Madrid with some brilliant play. The night belonged to Delle Alli, who on his return to the side, scored twice, on either side of the half. Converting from Trippier’s cross, Alli was to give Tottenham the lead in the 27th minute. His second came from a shot which deflected off Sergio Ramos, but after he had left Madrid defenders in a state of panic. Christian Eriksen finished coolly from a Harry Kane pass, Spurs making an emphatic statement in Europe. Cristiano pulled one back in the 80th minute but it was too little too late as Madrid succumbed to their first defeat in the Champions League in 30 group games. The Champions had the bulk of the possession and even had more attempts at goal, but they lacked the precision they have been known for and the defensive steel was noticeably absent. Manchester City also had a night to remember, as they were too good for host Napoli beating them by 4-2, in Naples. They did so, however, digging deep and coming from behind to seal the victory. Napoli for the first 30 or so minutes was the better side and went ahead through Insigne’s goal. City equalized through defender Otamendi, and then took the lead in the 2nd half with another defender John Stones scoring with a header. Napoli equalized from Jorginho penalty in the 62 minute after Raul Albiol was fouled by Leroy Sane. 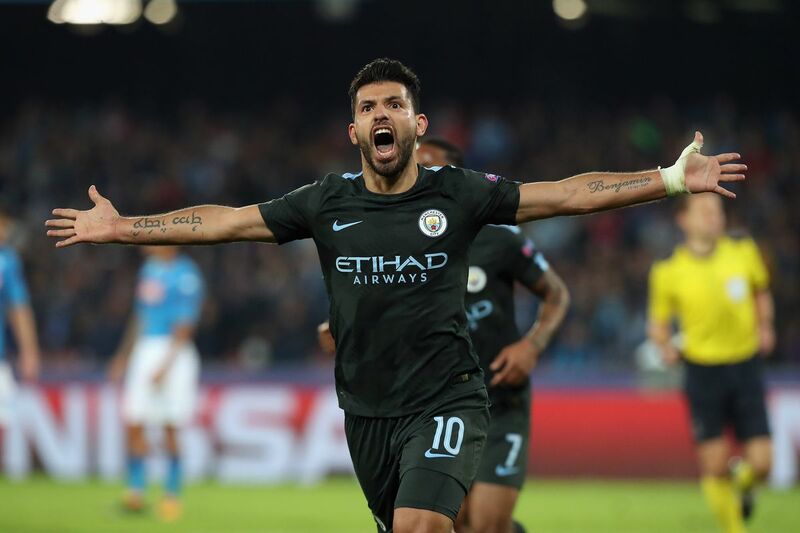 Aguero then became Manchester City’s all-time leading goal scorer when he gave the citizens the lead, 7minutes later. Raheem Sterling capped a brilliant performance scoring late in the game. Liverpool made light work of Maribor who the put 7 goals past in their previous. The Anfield faithful enjoyed an even run out, as Liverpool put 3 more goals past Maribor. Mohammed Salah (49’), Emre Can (64’) and Daniel Sturridge(90’) the scorers on the night.